Welcome to IMLCA's New Website! 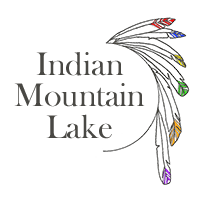 Indian Mountain Lake is a private gated homeowner’s community nestled in the scenic Pocono Mountains of northeast Pennsylvania, close to the Northeast Extension of the Pennsylvania Turnpike and Interstate 80, as well as some of Pennsylvania's finest resorts, ski areas and shopping outlets. Members can marvel at the exquisite beauty the area has to offer, including but not limited to historic Jim Thorpe, Bushkill Falls, Hickory Run and so much more. Indian Mountain Lake amenities include an Administration Building/Clubhouse, five lakes, two outdoor swimming pools and a kiddie pool, four tennis courts and two basketball courts. We also pride ourselves on our many inclusive social events for our residents and their guests. Annual dues provide services for road maintenance, trash removal, 24 hour security patrol, gated entrances and use of Association amenities. To insure the privacy and security of our members, access is restricted to persons who can provide proper identification for themselves and their vehicles. All property owners are members of the Indian Mountain Lake Civic Association pursuant to each property's deed covenants. The physical lands of Indian Mountain Lake are located in Monroe and Carbon counties and consist of approximately 4,600 acres with 3,262 single family residential building lots. Our association is a part of Tunkhannock, Chestnuthill and Penn Forest Townships and we follow all regulations for each township. We also cover three school districts including Pocono Mountain (Monroe, Tunkhannock), Pleasant Valley (Monroe, Chestnuthill) and Jim Thorpe (Carbon, Penn Forest). If you are not a resident and are looking to make a payment, please click here to be transported to our credit card site.